A profile of the Shepherd Park neighborhood in Washington, DC. The film features interviews with new and longtime residents, VIPs, and civic leaders. Chapters include: overview, history, diversity, Shepherd Elementary, homes, neighbors inc., famous residents, library, Walter Reed, and houses of worship. 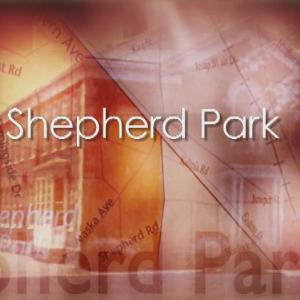 The film identifies Shepherd Park as one of the earliest integrated neighborhoods in Washington, DC. In the mid-20th century, real estate companies sought to use the same "block busting" techniques to encourage white flight as they had in many other areas of the city. Shepherd Park residents resisted these efforts by holding integrated community events and building a strong, unified neighborhood. Silver Spring Media Arts, Inc.
Gottlieb, Walter J., “Shepherd Park: Past and Present,” DC Digital Museum, accessed April 22, 2019, https://wdchumanities.org/dcdm/items/show/1177.